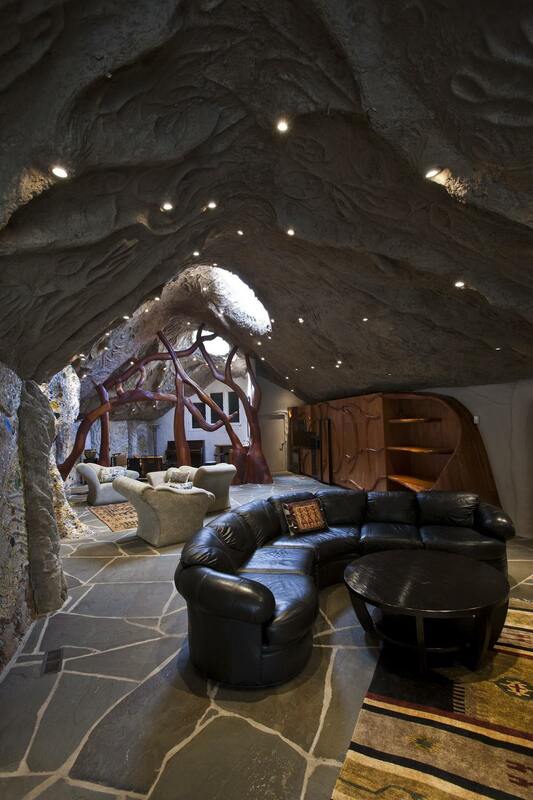 The interior of the Mushroom House is just amazing! Each one of the rooms flows from one to another! When it was first designed by James Johnson, he was in the forefront of “OPEN LIVING”! Today this is what everybody desires in living space! Mr. Johnson is a visionary! Each room has art from the ceiling to the walls to the floors! The ceramic light fixtures by Marguerite Antell are just beautiful! Tile floors and artistic ceilings are breathtaking! Custom woodwork and furniture fits perfectly! 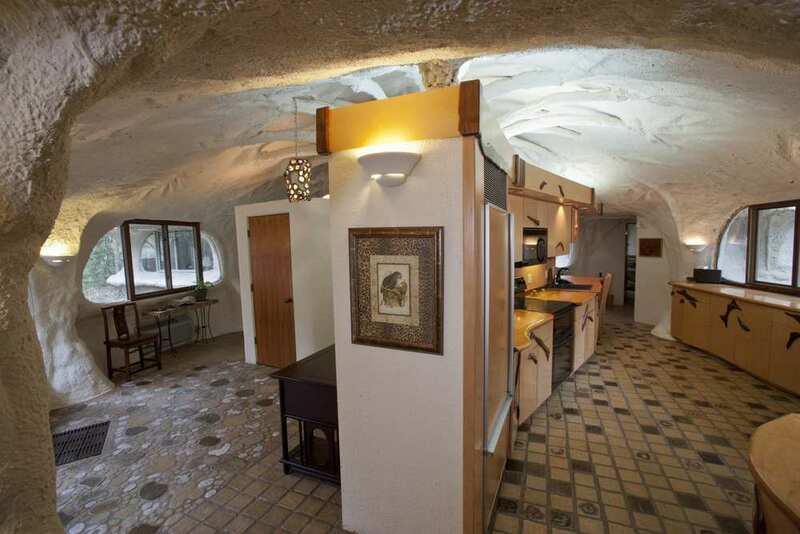 Every inch of this home is creative! When I walk into this home…I see something new all the time…no matter how many times I see this creation!